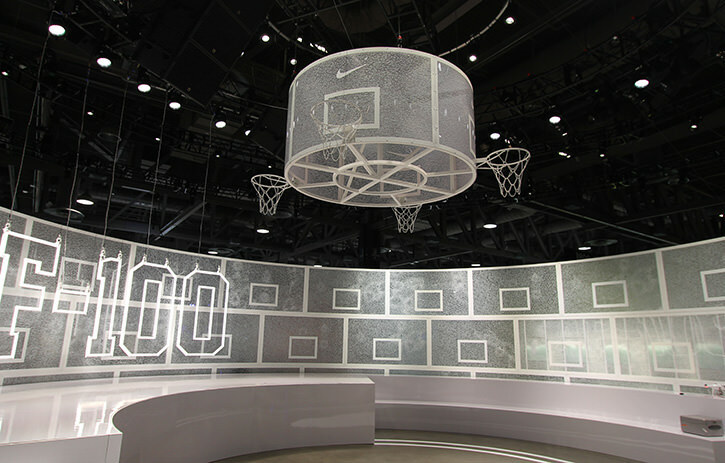 Returning to the largest gathering of pop-culture enthusiasts, the ATOMIC Set Construction Team was pumped to work with our friends at Nike on thier sophisticated ComplexCon space. 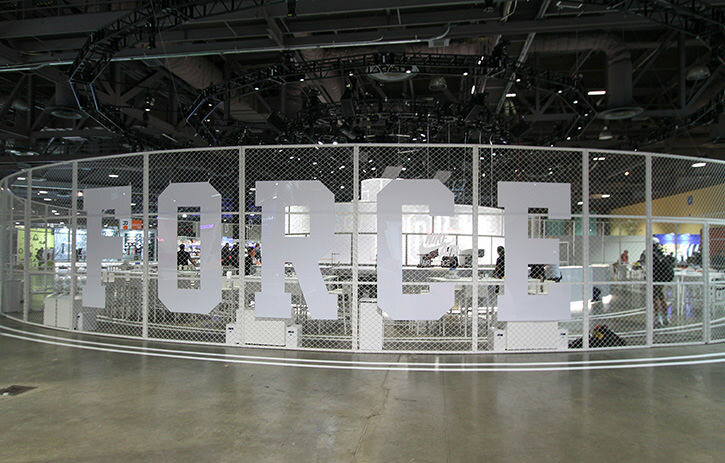 Using their 35th anniversary of the Air Force 1, Nike celebrated with an AF-100 Center Court within their booth. 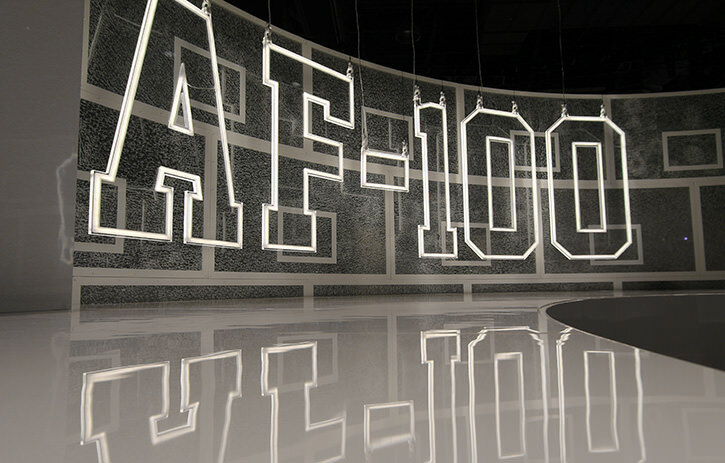 A custom diffused LED sign read “AF-100”, and hung in front of a custom wall of rounded shattered glass backboards. 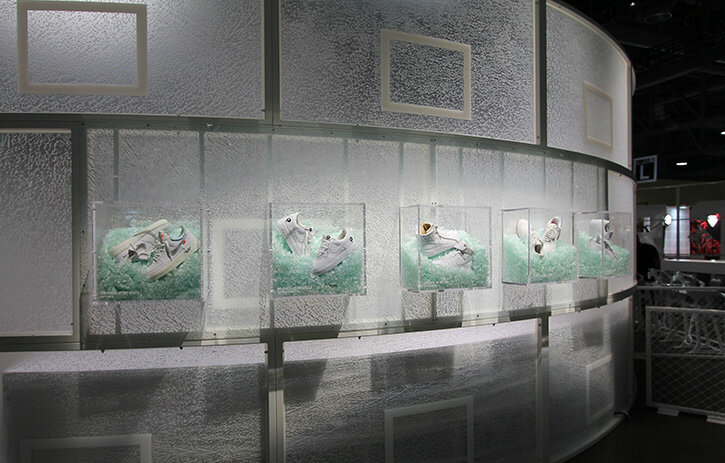 Everything was built in a circular motion, surrounding the shattered glass backboard hoop chandelier, which was the focal point of the design as it referenced the “pivot” from the bottom of the Air Force 1 sneaker. Included in the space was about 89′ of white chainlink fence keeping the look fresh. 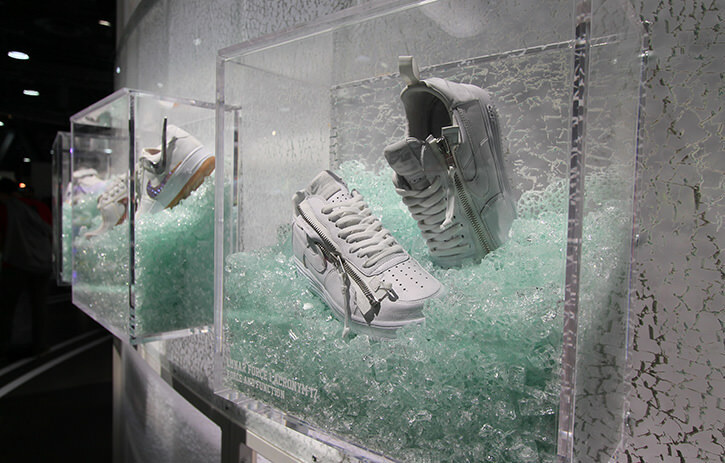 To showcase the shoes more closely, custom acrylic boxes were built with actual broken glass inside of them on the collaborator wall. 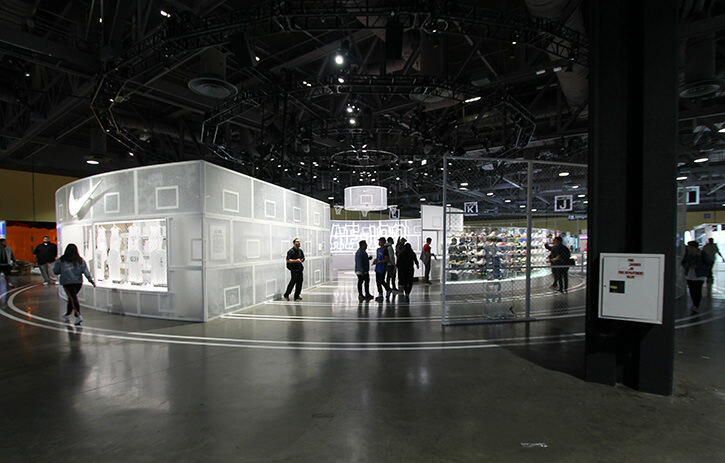 A retail space was key to the success of the space, which included a custom curved POS counter with a four sided light box to illuminate the product. 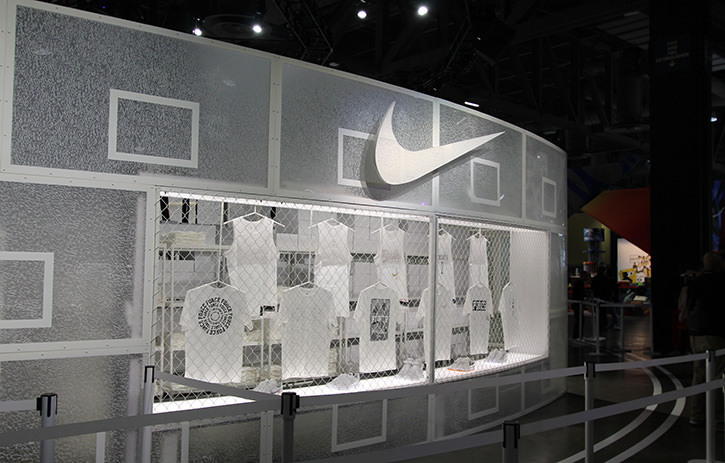 Special thanks and congrats to our client and partners: Nike Brand Design, Production Glue, Isolated Ground and Lighting Designer Seth Bernstein on such a wonderful space at this year’s ComplexCon event!